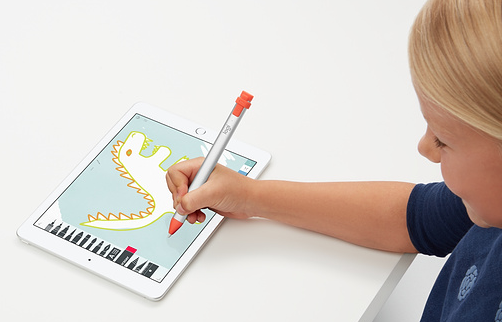 Logitech announced a cheaper stylus last year for the 9.7-inch iPad, known as the Crayon at $89.95 CAD, targeting the education market. The Crayon did not support 2018 iPad Pro models, which meant users could only buy Apple’s second-generation Apple Pencil at $169 CAD (with its more elegant wireless charging method). The Logitech Crayon will now work on all of Apple’s current line up, including the newly released 10.5-inch iPad Air and iPad mini 5. Snell also confirmed the Crayon does not work on his older 10.5-inch iPad Pro on iOS 12.2 beta. For 2018 iPad Pro users on a ‘budget’ who aren’t interested in the second-generation Apple Pencil, new support for the Logitech Crayon means $80 in savings for your wallet and offers a wider grip, and is charged via its Lightning port.